Follow us on Facebook and join our community discussions. On Instagram, we have a weekly feature entitled #WomanCrushWednesday where we share women's stories and experiences with Ovarian Cancer! 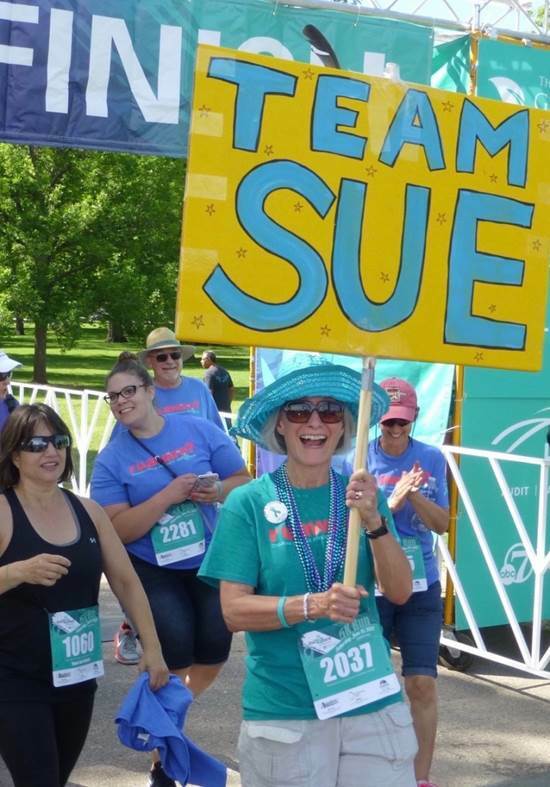 Check out one of our featured WCW, Sue Hester, showing off her sign at Jodi's Race! Follow us on Instagram for more fun pictures, and to get involved with more women and resources in the community!